FMO Investment Management offers a selection of funds with different market based risk-return profiles to suit investor appetite. All funds advised upon by FMO Investment Management share an emerging markets focus and the combined objective of investing for both financial returns and development impact. Below you will find a full overview of the funds we work for. At the same time we welcome conversations with qualified institutional investors, exploring where investor demand meets our expertise and FMO's investment strategies. FMO and FMO Investment Management encourage investors to engage in active dialogues on sustainable investment opportunities. Currently all fund propositions we advise on are private debt funds. The funds participate in FMO loans which are mostly senior, structured and secured; loan terms and conditions are tailored to debt service capacity and to the protection of investors interests. These fund propositions also offer portfolio diversification as FMO invests in a larger number of countries than the traditional EMD or EM corporate bonds universe. Furthermore, within the emerging markets loans portfolio, correlation tends to be limited. Returns are less volatile, as the loans are mark-to-model and valuation is a long-term fundamental value, thus not affected by market sentiment-driven price movements. and FMO Investment Management's own MiFID license as investment firm. 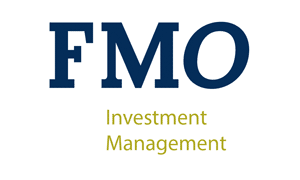 FMO Investment Management is the Fund Advisor for the FMO Privium Impact Fund. More can be found on: www.fmopriviumimpactfund.nl.